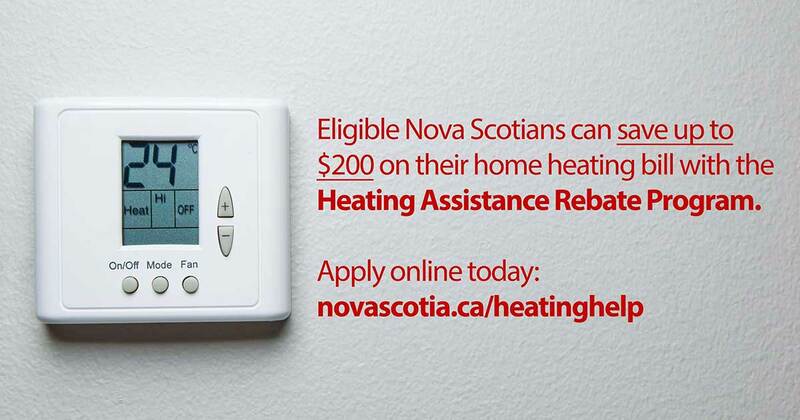 The Heating Assistance Rebate Program (HARP) helps lower-income Nova Scotians with the cost of home heating. Rebates range from $100 to $200. Applying online is the fastest way to apply, and direct deposited rebates are the faster way to receive your rebate. If your income tax refund is direct deposited, your heating assistance rebate will be too. If not, your rebate will be mailed to you. Apply from now until, March 31, 2019.